Bob Dylan is one of the most important songwriters of our time. His lyrics provided inspiration to countless performers and pointed the popular song in a new direction. With some justification he has been celebrated as a poet, philosopher or seer; his wordplay is the subject of repeated study and analysis. Yet, his lyrics are sung. His songs are music. In this concise profile Keith Negus presents Bob Dylan primarily as musician, focusing on the qualities of his songs that have received little attention, such as melody, rhythm, instrumental texture, and his performing voice. He also explores the way Dylan's musical sensibility has been shaped by the blues and folk ballad traditions and highlights how he has frequently created unique musical identities by personalizing borrowed phrases, tunes or riffs. 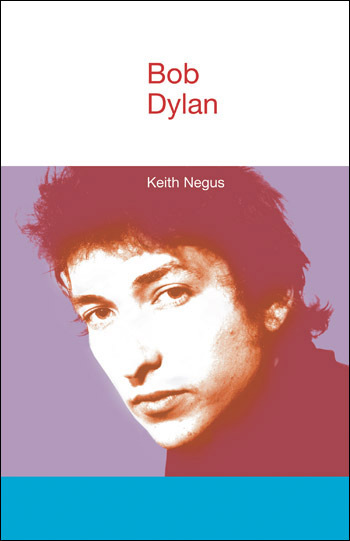 In tracing the various phases of a career that has lasted almost half a century, Negus stresses the centrality of performance to Dylan's life as a musician and songwriter, as well as detailing the way he has treated his songs as continually open to change and rearrangement in concert. Through listening to Dylan’s words as sounds, rhythms and tunes in the air rather than reading them as prose on a page, we can gain an insight into one of the most enigmatic, enthralling, yet unpredictable, of contemporary popular musicians.